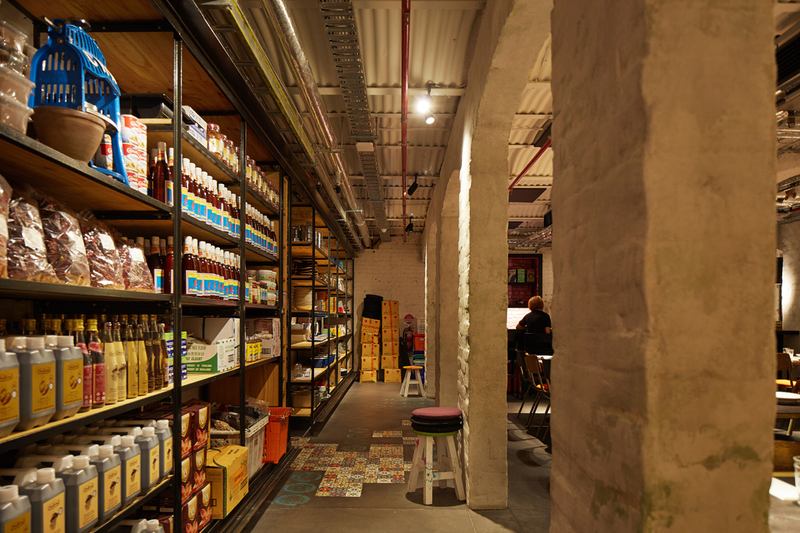 Long Chim Perth occupies the basement level of the former Treasury Building on Barrack Street and provides spaces that are unexpected yet welcoming and accessible to the wider public, encouraging diversity and vibrancy in the heritage precinct. 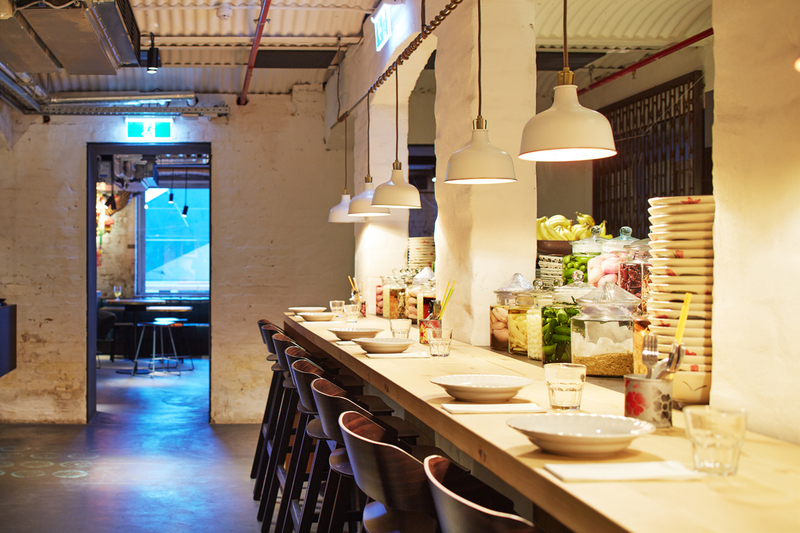 The project aspires to balance the immediate sense of place of the heritage buildings with the desire to celebrate the Thai street food influences that chef David Thompson is famous for. 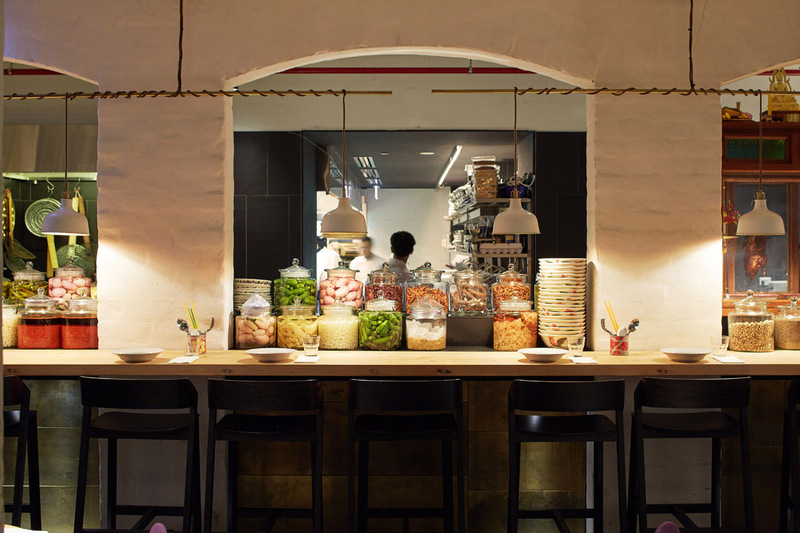 The extensive kitchen is custom designed around the Long Chim cooking style, with produce used in the kitchen displayed abundantly as part of the interior, stacked on the counter and the custom wall-to-wall shelving in the restaurant. The separate bar caters for Thai inspired cocktails that complement the food. 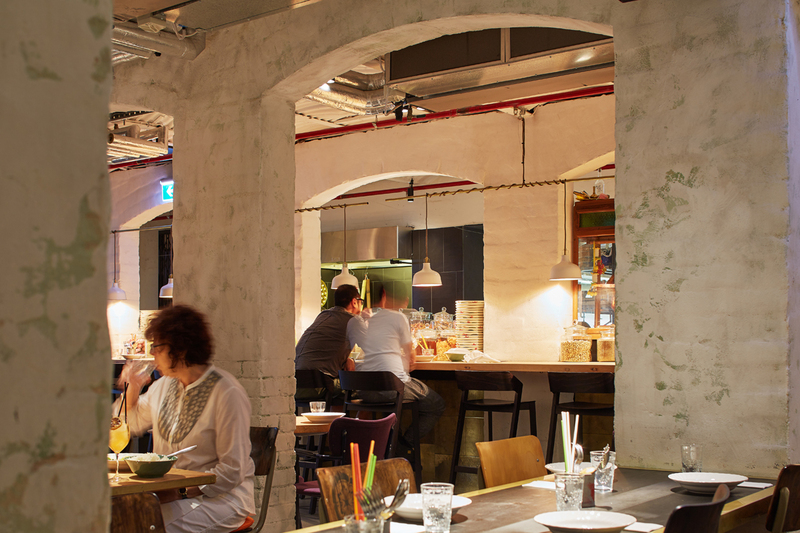 The restaurant dining room occupies the main basement space, originally used for document storage, it is characterised by a dense grid of vaulted brick arches supporting the ‘Postal Hall’ above. 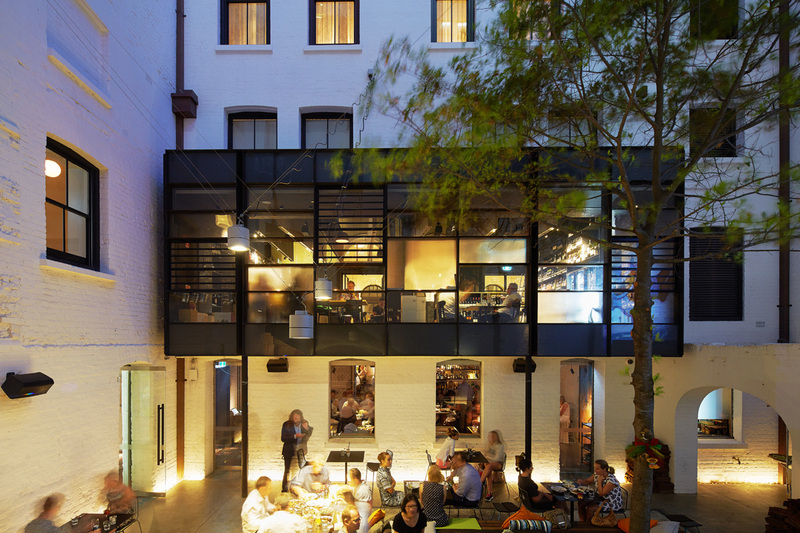 The dining tables are arranged within the maze of brick arches with a compact intensity that opens into the adjoining bar area and then relaxes out in the courtyard, providing a range of different possible experiences for patrons. The fitout light heartedly juxtaposes bespoke joinery in timber and brass with ‘pre loved’ furnishings and decorative Thai paraphernalia, creating a layered and varied interior with opportunities for surprise and delight.